To outsiders, it may be hard to distinguish between New York City’s big real estate firms. But behind the scenes, even firms of similar sizes and reputations can have vastly different ownership structures. Many of the city’s residential brokerages, for example, have long been privately owned by families. Others have large, publicly traded corporate parents. Still other owners have silent parents, or offer their brokers the opportunity to own a piece of the firm. These structures dictate, to a large extent, how firms operate, make decisions and divvy up the profits. Individual owners, for example, tend to have more control over the company but less cash-flow, while firms with large corporate parents may have the opposite. This month, The Real Deal looked at New York City firms with a variety of different ownership structures to see who controls the purse strings and what that means for getting deals done. Douglas Elliman (formerly known as Prudential Douglas Elliman) is one of the city’s largest residential firms, and has one of its most complex ownership structures. Fifty percent of the firm is owned by chairman Howard Lorber’s Florida-based Vector Group, a publicly traded company best-known for its association with tobacco giant the Liggett Group. In 2011, Vector — which owns its stake through a subsidiary called New Valley — reported a pre-tax income of $16.6 million from its interest in Elliman, according to a stockholder’s report. Elliman CEO Dottie Herman, meanwhile, is said to own approximately 30 percent of the company. And until recently, the Prudential franchise owned 20 percent of the company, but Herman and Vector have dropped that affiliation and reportedly bought out Prudential’s stake in the company. New Valley’s association with Herman began in 2000, when it paid $1.7 million for a 37.2 percent ownership stake in Herman’s B&H Associates of NY, formerly known as Prudential Long Island Realty, according to the stockholder’s report. Then, in 2003, the partners bought Insignia Douglas Elliman, as it was then-called, for a reported $72 million. Following the franchise agreement with Prudential, the new company changed its name to Prudential Douglas Elliman. New Valley reportedly increased its ownership stake to more than 50 percent by investing an additional $1.4 million between 2002 and 2004. Elliman declined to comment on its ownership structure. So what does this ownership arrangement mean for operations at Elliman? With Prudential no longer involved, the buck now stops with Lorber, sources said. There are still some shareholders through Vector, but “being that Howard is the majority shareholder, Dottie is really answering to Howard,” said a source familiar with the firm’s ownership structure. Dropping the affiliation with Prudential has removed some of the bureaucracy, sources said. Previously, both Herman and Lorber had to answer to the franchise leadership to some extent, and “there were a lot more board meetings,” the source said. Herman takes the lead on day-to-day operations at the firm, the source added, but “when it comes to any major decisions, anything having to do with money, it’s Howard” who takes charge. Elizabeth Stribling founded her eponymous brokerage in 1980 with a business partner, Connie Tyson. 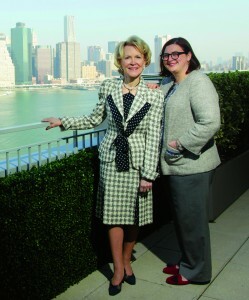 But Stribling bought out Tyson in 1991, and now owns the firm with her daughter, Elizabeth Ann Kivlan. Kivlan, previously the firm’s director of marketing and business development, took over for her mother as president last year. Now Kivlan manages the firm’s day-to-day operations, business expansion and development, though as chairman, Stribling is still an active part of the firm’s management team. Kivlan said her mother has received many unsolicited offers to purchase the company, but has always declined. “We prefer to remain a family-owned company,” she said. Stribling COO Christopher Wilson agreed, noting that getting approval from the owners for expenses or new initiatives is a speedy process. Like other forms of ownership, family-run companies have their pros and cons. Wilson said he’s lucky to work for “very nice people” with whom he shares a vision; but at other such firms, philosophical disagreements with the owners can be difficult to resolve. “In a corporate environment, you can always go one level higher,” he said. But in a family-owned firm, the owner’s word is law. “The buck stops there, let’s face it,” he said. Being a firm’s sole owner isn’t for everyone. Neil Binder and Marc Broxmeyer cofounded Bellmarc Realty in 1979, and when Broxmeyer retired in 2010, Binder found that he did not like being at the helm by himself. He set out to sell some of Broxmeyer’s 50 percent stake in the firm, and Bellmarc last year absorbed residential and commercial real estate brokerage AC Lawrence Real Estate. The consolidated company, known as the Bellmarc Group, has three equity partners, Binder said: Binder owns 65 percent, while AC Lawrence cofounders Anthony DeGrotta and Larry Friedman own a combined 35 percent. While Binder is the company’s majority owner, an operating agreement put in place last fall gives equal control to all three parties. In other words, Binder, DeGrotta and Friedman all have an equal say in strategic decisions at the Bellmarc Group, including decisions on hiring and opening new offices. If a disagreement occurs, the issue is put to a vote. Madison Avenue–based brokerage Warburg Realty, meanwhile, has a somewhat unusual ownership structure, explained CEO Frederick Peters. In 1991, as Peters was contemplating purchasing a brokerage called Albert B. Ashforth, he approached several of the firm’s star brokers and invited them to become part-owners along with him. “I felt that there would be no better way to permanently connect my top people to the organization than to give them a share in it,” he said. “Every shareholder is a working member of the Warburg team,” Peters said. As the majority owner, Peters has the final word on all of the company’s strategic decisions, but all those with a piece of the company are kept up to speed on the day-to-day operations of the firm and their advice is frequently sought out. And since these broker-owners share in the company’s profits, they have an added incentive to work hard. 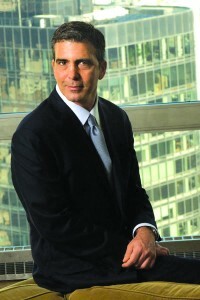 Nest Seekers International was founded in 2002 by Eddie Shapiro, its CEO and majority owner. Shapiro told TRD that he owns the company with one silent investor, who he declined to name. But sources told TRD this fall that Nest Seekers’ investor is Yudel Kahan, the vice president of Hawthorne, N.J.-based Churchill Furniture, one of the largest furniture rental suppliers in the tri-state area. Although the exact financial ties between the companies are not public, records show that Churchill Furniture is affiliated with Churchill Corporate Services, a corporate relocation firm where Shapiro worked in the early 2000s. Shapiro and Kahan are also cofounders of Lev Group, an investment and development firm which has been involved in condo projects such as the 505 in Hell’s Kitchen and the Sage House in Queens. Shapiro told TRD last month that he personally controls the company’s strategy and direction. “I make 100 percent of the decisions, 100 percent of the time,” he said. And while he’s received offers from other investors to partner with him or buy a stake in the firm, he said he has declined because he doesn’t want to jeopardize his existing partnership. Brokerages Halstead Property and Brown Harris Stevens are both owned by Terra Holdings, a private partnership headed by Swig Equities president Kent Swig, investor David Burris, developers Arthur Zeckendorf and William Lie Zeckendorf, and Eric Hadar of Allied Partners. Terra was initially formed by the partners to purchase BHS from an ailing Harry Helmsley for an undisclosed amount in 1995. 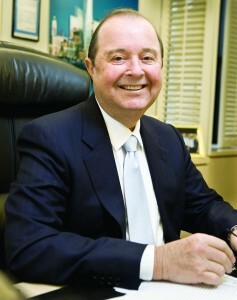 A few years later, the partners bought Halstead from its founder, Clark Halstead, who is now chairman of the company. The Zeckendorfs, Swig and Burris all participate in the day-to-day operations of both firms and hold the title of cochairmen, a source said; they receive salaries and a portion of the firm’s profit overrides in exchange for working a required number of hours on Terra business. Hadar, meanwhile, takes a purely advisory role, does not receive a salary and does not hold the cochairman title. Sources said there are at least two other minority investors in Terra Holdings: real estate investor Arnold Penner, who is a co-owner of the Midtown restaurant P.J. Clarke’s and a director at investment and management company United Capital, and Lawrence Friedland, a Manhattan-based attorney. When contacted by TRD, Penner confirmed that he holds a minority stake in the company but declined to elaborate. Friedland did not respond to requests for comment. Neither Halstead president Diane Ramirez nor BHS president Hall Willkie hold equity in the companies, a spokesperson for Terra confirmed. NRT is owned by the publicly traded real estate giant Realogy Holdings, which also franchises Coldwell Banker, Coldwell Banker Commercial, Better Homes and Gardens Real Estate, Sotheby’s, Century 21 and ERA. Apollo Global Management is Realogy’s largest single investor. Realogy issued its IPO in October 2012, offering 46 million public shares priced at $27 each. The stock price has since increased substantially; by the first week of last month, it was valued at 55 percent above its IPO price. The company’s market capitalization was last reported at over $6 billion. Working under a giant corporate umbrella can slow down strategic decision-making, industry experts told TRD. And at publicly owned companies, there are strict requirements on reporting all decisions to stockholders, along with an increased pressure to consistently perform well financially, Bellmarc’s Binder said. Citi Habitats president Gary Malin declined to comment on whether he or any Citi Habitats executives hold any stock in the company. There is always risk attached to having multiple investors in a company, as a recent lawsuit at Rutenberg Realty makes clear. Charles Rutenberg Realty is a real estate franchise originally operated in Florida by the Krug family. There’s also a Long Island branch of the franchise, headed for the Krugs by broker Joseph Moshe. Rutenberg opened in Manhattan in 2006 after investor Richard Friedman was inspired by Larry Krug, his old army buddy, to open a New York City office of the franchise. Friedman then brought his son-in-law, Jeffrey Markowitz, on board. The duo originally considered launching the business citywide, but when Friedman approached real estate industry veterans Paul Purcell and Kathy Braddock about the idea, the foursome formed a partnership and settled on launching in Manhattan. Moshe, who controls the family trust that owns all rights to the Charles Rutenberg name in New York State, also became a part-owner. According to court documents, Moshe owns a third of the company’s New York City division, while Friedman, Markowitz, Purcell and Braddock each own one-sixth. All partners but Moshe have voting rights on management issues, and Moshe cannot undertake any action on behalf of the New York company without the prior consent of the other four owners, according to court records. While Friedman and Markowitz have voting rights, they largely take a back seat to Purcell and Braddock. She declined to comment further on the ownership structure at the firm. Moshe’s lawsuit, which made headlines in October 2012, asserts that Purcell and Braddock exercise “complete dominion and exclusive control of the money, property, affairs, books and records” belonging to the company. The suit accused Purcell and Braddock of improperly siphoning funds from the New York Rutenberg office and competing against the firm with their own consulting company, Braddock + Purcell. Purcell and Braddock have denied the claims. CORE, the boutique brokerage best-known for its association with HGTV’s “Selling New York,” is a privately held company owned by CEO Shaun Osher and investors Joe Cayre and his son Jack. The Cayres are principals of Midtown Equities, a real estate investment firm that owns some 100 properties. While Osher declined to reveal his specific equity share in the company, he said it “wouldn’t be wrong” to call the venture a fifty-fifty partnership. Osher said he and the younger Cayre have equal input on all decisions relating to the direction of the firm, from new offices to new hires. The benefit of having so few partners, he said, is that “we don’t have anyone looking over our shoulders or dictating to us,” he said. Six years after selling Citi Habitats to NRT, Andrew Heiberger again made headlines in the real estate world by launching a new brokerage, Town Residential. Then in 2011, he formed a strategic partnership with Joseph Sitt, the head of investment and development firm Thor Equities. 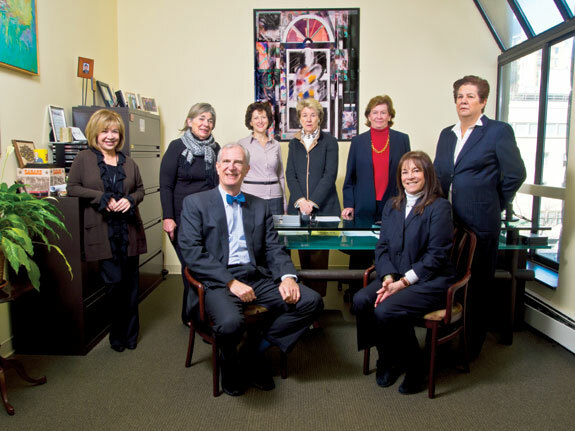 Since Sitt became involved, Town has grown rapidly, opening a number of well-appointed offices. Heiberger and Sitt have an equal financial stake in Town, according to a spokesperson for the firm, and Town is completely separate from Thor Equities. It is not clear whether the company has other investors. Sources said Sitt takes an active role in the company’s operations, consulting with Heiberger on business development and strategic decisions relating to the firm. He has little involvement with day-to-day operational decisions such as hiring or firing, however.